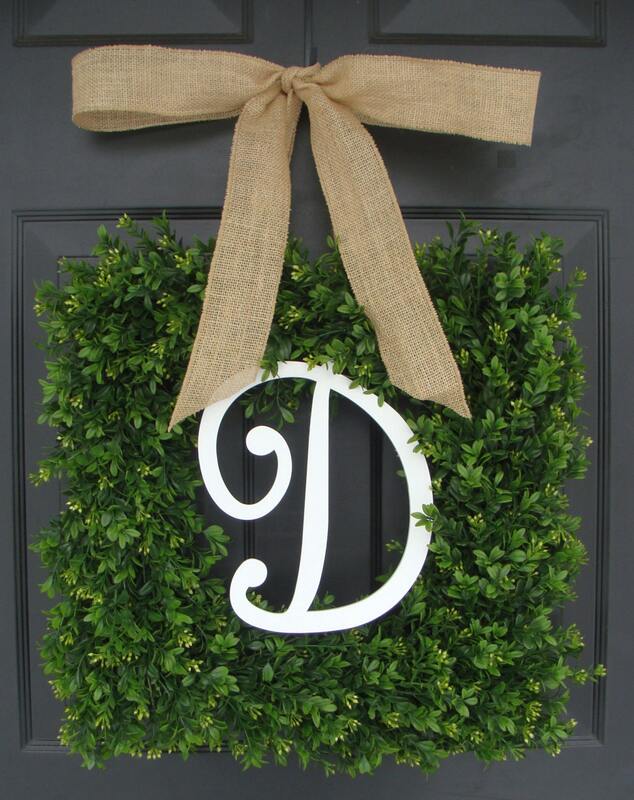 Your beautiful PAINTED Single Letter Monogram can be framed by a round, lush realistic artificial square boxwood wreath and hung with a custom colored burlap ribbon of your choice. The monogram is hand painted by me with a clear UV resistant outdoor paint to allow the natural wood color to show through. 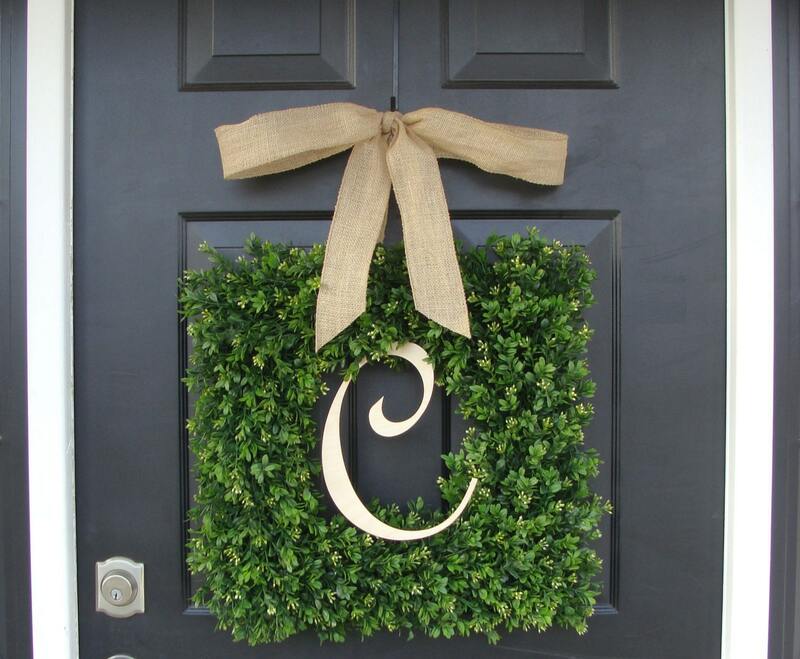 This large wreath measures 18 inches in diameter, 24 inches high and 3-4 inches deep. May be able to fit behind a storm door. The realistic boxwood is very beautiful, natural and can stand up to outdoor use. 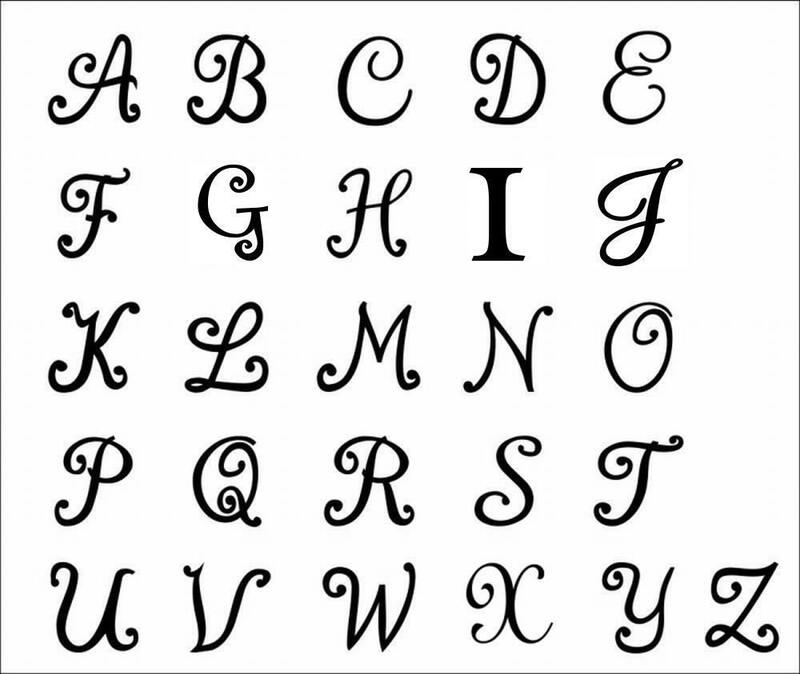 **Please enter your MONOGRAM LETTER in the comments section at checkout. 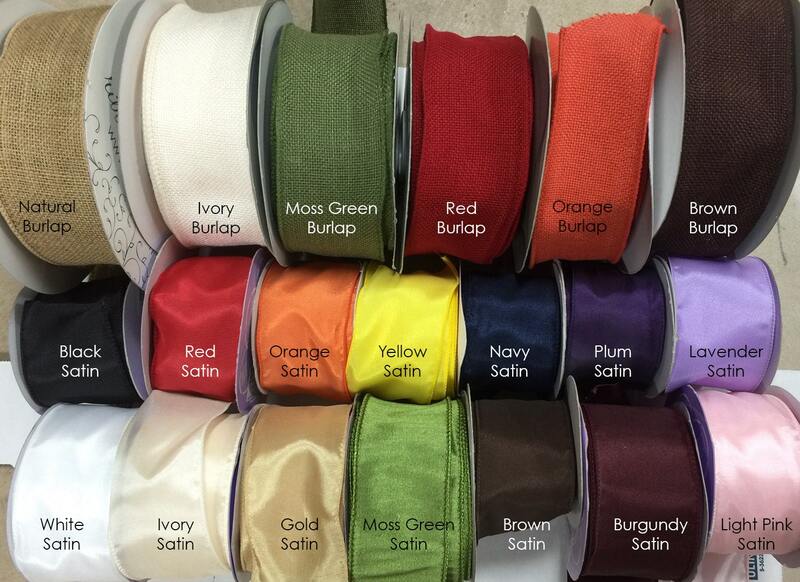 All of our designs, production technology, pictures and descriptions are copyrighted. Please, do not copy. I was searching for a wreath that could withstand the direct sun and weather our front door gets. 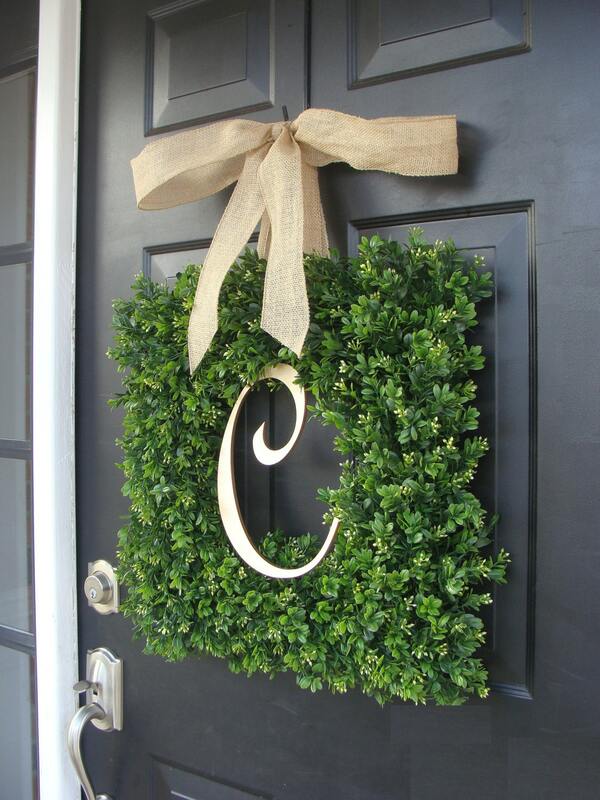 This wreath is so simple but really makes a statement! It came quickly and was wrapped really well! Thank you! Love my square wreath with bow! Unique and elegant!! We have a purple-coloured front door and this compliments it so well. Beautiful! Love my wreath!! Well made!